Costume Analytics: What Is a Robe a la Turque Anyway? It's been a long time since I've done a Costume Analytics, but I've found myself entering "new territory" with a type of 18th century gown I *thought* I understood until I took a closer look. It's the Robe a la Turque, and indeed all things surrounding 18th century Turquerie and Orientalism. The portrait I want to most closely look at is "Portrait of Mademoiselle Guimard," by Jean-Baptiste Greuze, 1790. What the shiny glory is even going on here? Is it...a robe (kaftan) worn over a gown? Is it...a round gown with the skirt pulled up? Is it...a jacket over two skirts, or is the blue robe attached to the bodice somehow? It is also referred to as a Turquoise or Robe a la Musulmane, and resembles a short-sleeved Robe a la Polonaise or Circassienne, with the front sections hanging away from the underbodice, and the back cut all in one with the skirt. The three gowns above are meant to depict the same garment, from the Galerie Des Modes. You can see the front side pieces falling away, and the back seams covered in trim and flowing into the skirt. This gown, described in the November 1786 Cabinet Des Modes as a la Turque, is much closer in date and design to our portrait. Imagine the striped overgown in blue silk trimmed with brown fur, and the petticoat in yellow silk, pulled up to reveal an under-petticoat in corral, and we're there. There are still some things that raise questions though. How is the sash and belt tied on if the waste is not open all the way around the back? Is the yellow petticoat split? Is Mademoiselle wearing some kind of false bit of bodice where the top edges of the yellow bodice turn down? Is this costume closer to actual 18th c. Turkish dress than the European fantasy of it? Is there artist interpretation going on here? There seemed to be various ways Turkish costume could be worn in the late 18th c. Some Turkish garments, such as the Sultana, were meant for home only, as intimate undress, and were worn without stays and skirt supports. Other types of garments, like the Robe a la Turque, where regular wear dressed over stays, pocket hoops or bum pads, petticoats, and with a full headdress and hair style. Just to confuse you further, here's Mrs. Trecothick wearing NOT a Robe a la Turque, but a Sultana. In our portrait, Mademoiselle is wearing fancy dress, not regular attire, but while her skirts are fairly slim, it is my opinion that she is still wearing stays to support the bodice and her bust, along with a curiously high-necked chemise. There is an extraordinary amount of texture going on in our portrait. 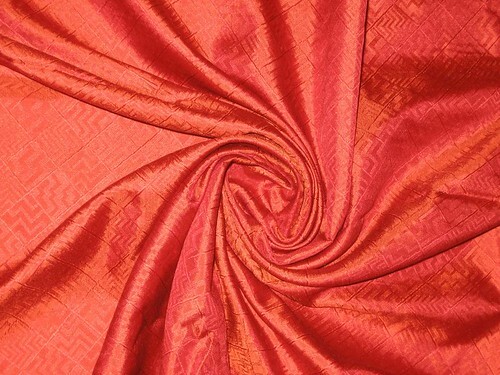 For the base fabrics, we have what appears to be silk duchesse satin, very heavy, shiny, and luxurious. The robe is trimmed on the edges in brown fur. 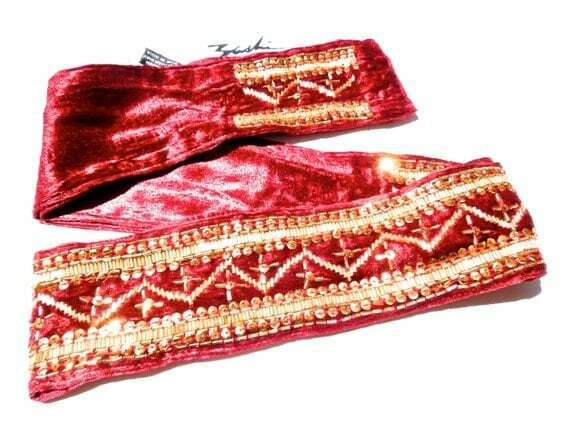 The sash appears to be satin with a heavy gold fringe. Please note that while our girl in the portrait is wearing mostly solid colors, don't be afraid to take it there with stripes, dots, paisleys, block-printed florals, and anything that feels Middle Eastern. Mix and match at will. The petticoat edges show very European style embroidery on both sides of the silk-lined skirt, while the only other visible trim is seen on the open edges of the bodice at Mademoiselle's neckline. Lastly, the cuffs and neckline are trimmed in delicate lace, a very European touch. The Turque costumes are all about the accessories. Pile 'em on, ladies. 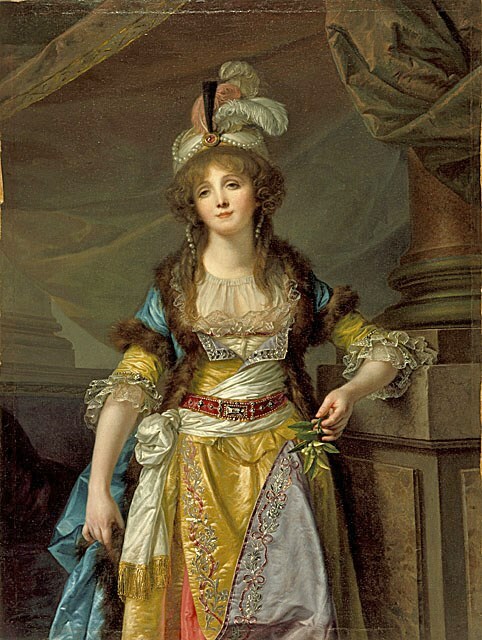 Mademoiselle wears a jeweled red belt that may have been velvet, along with a turban trimmed in ostrich feathers and pearls over a loose 1790s hairstyle with braids and bangs. This portrait is stunning and enticing and confusing! In studying it closely, I've found more questions than I perhaps answered, but with an eye to making this costume, it seems like a Robe a la Turque in the 1790s silhouette is a good place to start. 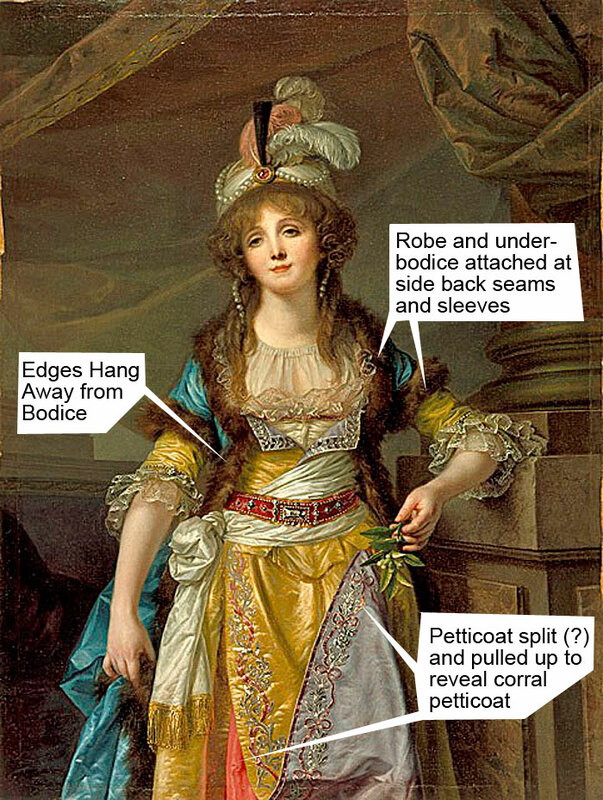 Parts of the painting make me think that Mademoiselle cobbled her fancy dress costume together from various things in her closet, just like we do today (or perhaps it was cobbled together for her by a marchande de modes), with indications of recognizable gown designs showing through, but obscured by the accessories and styling and possibly artistic interpretation. It's most important to realize that the Turquerie costumes of 18th century European women were fantasies of Turkish and Middle Eastern dress, and had almost nothing to do with actual dress of these regions and people. They're "inspired by," which in many ways gives us a bit of freedom today in designing our own 18th century Turquerie costumes. Fashion Through History added extra Turque to her Turque with a bright colored petticoat and well-chosen accessories, while Before The Automobile kept her turque simple and stunning, setting off the bold purple with a colorful turban. It can be as clean or crazy as you like. 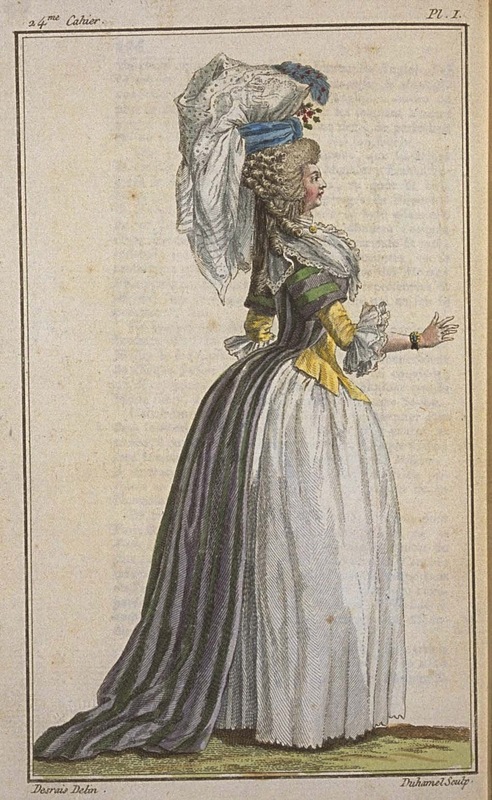 I have Cassidy of A Most Beguiling Accomplishment to credit and thank for her peerless research on this type of gown, and her translations of the Galerie Des Modes fashion plate descriptions. You can read all her posts on the Turque here. Additionally, more images of Turques, Sultanas, and other Middle Eastern-inspired costumes can be found on my Pinterest board here. See what's in your closet and stash first - for my version, I already have a red petticoat, sash, belt, and the fabric to make the kaftan/robe and the underbodice and sleeves. Choose bright colors - bright blue, magenta, yellow, and red were popular for Turkish costumes. Or choose muted colors - pastel blue, ivory, rose pink, and canary yellow were *also* popular! Start with a gown or gown pattern you may already have. It could be dressed up, altered, or refashioned to get the look. Trim It - fur trim on the robe was incredibly popular, along with braid on the back seams, fringe on cuffs and hems, and embroidery or metallic trims on the edges of the bodice, sleeves, and petticoat. Don't forget to accessorize - a turban of any design and a jeweled belt and/or enormous fringed sash will make any gown look more Middle Eastern. 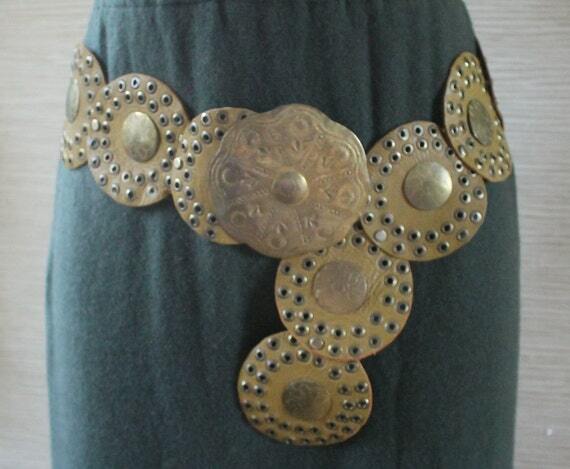 Hunt eBay, thrift stores, Etsy, and belly dance supply shops for accessories, or make your own. Loren, I was drooling over your blog posts about your turque. It looks like in your photo you tied the sash around the waist but beneath the back sections, the blue part? Is it open all the way around the waist there? I'm really confused about that part! Yes, that makes sense! Also asked Abby at Colonial Williamsburg about this and she confirmed it was done, so I think I will follow your lead and make the underbodice up separately. Thank you! It might help for you to research Lady Mary Wortley Montagu. She popularized this style of dress after her Turkish Embassy Letters were published in the 1760's. Yes, have looked into her. I was interested to find that Turkish dress was popular way back into the 17th century, too. Lady Mary Wortley Montagu lived in Turkey and dressed in actual Turkish dress, then when she brought the fashion back it sortof went through this Frenchification over the next thirty years to become the Robe a la Turque, barely resembling what it originally was inspired by. Very interesting! Fantastic analysis! You make me want to make all the things, lol! My guess is there's probably a whole combination of fashionable dress + fantasy + artistic license going on here, so that there's really a lot of room to play with. Considering that and knowing that actual practice frequently defies strict categorization, I wonder if the blue robe may actually be a sort of hybrid between a turque and Sultana - cut along similar lines to the turque, but its own separate garment like the Sultana. That would explain getting the belt and wide sash around the waist between the blue and yellow layers. And the front edges of the blue layer simply may be pinned to those underneath. What a lot of fun. I love the crazy this is so much. Less of the pretty, more of the WOW!! Oh, I'm going for the pillow cases. The bigger the better! Woohoo! And I love that description: "pillowcases exploding out of her head", lol. I'm now obsessed with them too! There's the Turque, the Polonaise, the Circassienne, the Levite, and the Sultana, and they're all interesting, all kindof overlap, and I'm confused as hell, but I can't stop researching! I'm so glad my posts are useful to you, I love seeing them cited! Regarding the belt, I don't think the overgown has to be attached to the underbodice/corset at the side-back seams - with the earliest plates it says the corset is pleated while the gown is not, and a lot of them look like the corset is a totally different piece that's laced in the back. Which might make things less complicated! I wonder if the yellow petticoat in the portrait is actually tucked up in two places, so that the embroidery runs around the hem? Just a thought.